With the advent of new technology, privacy concerns are becoming an increasingly hot topic of debate in many different forms. People across the globe are becoming more cognizant of the personal right to privacy and are working to protect it; however, other factions believe that technological advances and the integration of life and technology are worth the loss in privacy rights. Some believe that it is only a matter of time before we fall into the dystopian worlds that George Orwell and Ray Bradbury, respectfully, espoused in 1984 and Fahrenheit 451. However, opponents argue that the loss of privacy brought on by new technology is only avoidable by the user. Both sides are passionate in their belief of the good and, conversely, the bad that can result from the use of technology. The battleground is constantly changing to meet the demands of new technologies, like facial recognition and internet spyware. For example, employee surveillance has been an often debated issue and recently a San Francisco firm faced a lawsuit for using bots to track clients through LinkedIn. Ultimately, the right to privacy depends solely on societies reaction to new technological advances. Privacy concerns are of a heightened importance in areas in which the privacy right has already been diminished such as in the employer/employee context where the employee has little expectation of privacy. Recently, Amazon filed a patent for bracelets that track the movements of the users. While these bracelets are not actually in use or production, the concept of the bracelets is that it will enable Amazon to function better as a business by identifying possible productivity issues. Like surveillance cameras which track the employee’s whereabouts, these bracelets would allow Amazon to keep tabs on each employee who is wearing one. As mentioned earlier, it is ludicrous to think that major companies, like Amazon, do not currently do this in some fashion as one only has to look to company vehicle tracking where a company places a tracking device on their vehicle to ensure safety. However, the concern is whether the surveillance exceeds what is reasonable as these bracelets would allow Amazon to track activities such as bathroom breaks, pauses in work, and worker efficiency, and potentially lead to discrimination against disabled employees. Additionally, this poses other risks to the employee as this data could be hacked or mined to the employees detriment. As society invents new technological marvels, it becomes an issue for the legislature to stay up-to-date on the changing landscape and adapt accordingly. While the Fourth Amendment protects citizens from illegal searches and seizures, it only applies to the government, and the concern is that employers will make compliance with these devices mandatory. The legal arena around employers tracking their employees is not very clear and a handful of states have taken it upon themselves to restrict employers from doing so. California passed a law which prohibits employers from tracking their employees as it is illegal to track any “movable thing”. However, there is a lack of nationwide standard as there is no majority rule for these laws. The lack of clarity essentially gives the deference to the employer as if the employee decides that he or she is not willing to forgo his or her privacy rights, the employer can simply find someone else to take the job. 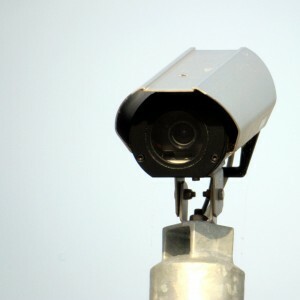 Therefore, the employer forgoes any disadvantage in promulgating these new surveillance methods as the employer holds the power in the employee/employer relationship. While the employer’s use of biometric data has caused an increase in private litigation, Congress has yet to promulgate a new rule that protects these rights. Therefore, due to the lack of clarity, this private litigation will be instrumental in determining the legality of employee data collection methods. However, the demand is still there for a nationwide rule. It is going to require action like this before Amazon is willing to sacrifice the new patents covering these tracking bracelets. Whether litigation is a good thing or a bad thing is up to what the employer values more: the right to privacy or the efficiency of business.